Trying to find a great business idea? Successful entrepreneurs use their imagination every day to make new decisions to make the world a better place. But how do they do it? The secret is, there’s no secret! 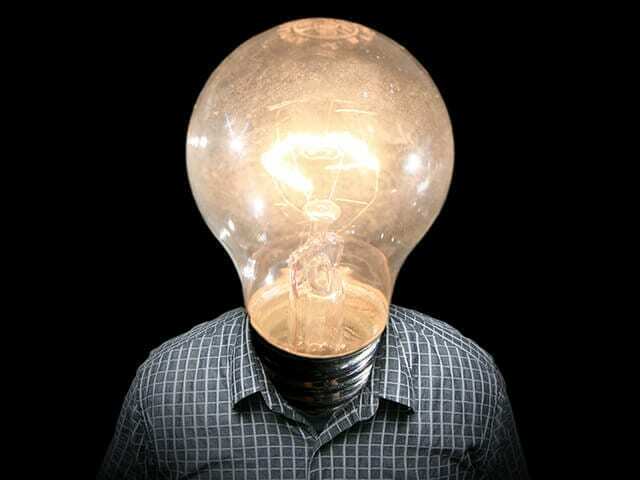 However, here are seven ways to keep your mind fresh and open so you can generate an idea for your own business. Seriously. Go out and meet new people to get out of your idea rut. Talking to new people who not only don’t think like you but who don’t know how you think can help freshen up your brainstorming process. Go to networking and learning events, talk to people outside your industry and/or strike up a conversation with your existing customers. 2. Keep a “pain point” journal. Successful companies all have one thing in common: they solve a problem. Companies like Google, Netflix and Uber solved specific pain points in their marketplace and went on to achieve great things. I wish I could find information on a specific topic from various sources quickly. I wish I could rent movies and television shows directly from my television at a low cost. I wish there was a cheaper way to get a ride. Ask yourself: What bugs me? Keep a journal where you write down your everyday frustrations. Review the journal regularly and run it by others to see if it’s a pain point for them. What product or service could you create that would solve that problem? 3. Tap into your interests. The famous restaurant and travel guide Zagat is an often cited example of finding a business in something you love. The founders of Zagat, Tim and Nina Zagat, were lawyers who loved to eat out at restaurants. In 1979, they started a newsletter asking their friends to rate restaurants. As the newsletter got bigger every year, they began charging money for their work. In 2011, the company was bought by Google. Not bad for a newsletter. Take an inventory of your hobbies and interests. What are the business opportunities you could create from something you love to do anyway? 4. Explore new ways of thinking. New methodologies and ways of thinking are constantly evolving and some industries are better at embracing them than others. Take design thinking for example. Design thinking is a mindset and a methodology used to better understand problems and implement creative solutions, articulated first by David Kelley, co-founder of the design firm IDEO. The company has designed products for iconic brands such as Apple, Steelcase and Oral-B. Read up on alternative methodologies and learning methods and apply them to your pain points journal. Or, apply to an alternative learning program such as Studio [Y] if you’re at an inflection point and need a reboot, or explore entrepreneurial thinking resources for a new learning style. There’s a whole big world out there of great ideas that aren’t yet in your market. If you see an idea you love in your travels, you can take it back home and give it a new spin that specifically addresses the needs of your market or community. Even if you don’t find inspiration, traveling will help take you out of your surroundings and refresh your system. There’s also places around the world that have ideas waiting to be commercialized, such as in universities that have technology transfer offices. Take an existing idea and launch it to market. Don’t waste your time looking at cat videos online. Fine, don’t waste all of your time looking at cat videos online. Look up entrepreneurship and industry related communities. Go on Twitter and search relevant hashtags to see what people are talking about. For example, if you’re interested in social finance and social innovation, consider hashtags such as #impinv (impact investing), #socfin (social finance), #socinn (social innovation), #susty (sustainability), #socent (social entrepreneur or social enterprise) and #csr (corporate social responsibility). You might learn about new niche fields, networking opportunities or other topics that might spark something. Become a student of your industry and entrepreneurship. 7. Do your market research. So you have a potential inkling of an idea but aren’t sure if it really has any potential. Research the market to see what’s out there and where your idea could fit in. Besides your standard online search and library stop, there’s tons of resources out there to help you along. For example, MaRS Market Intelligence provides Ontario entrepreneurs with access to current, relevant and timely information about your industries, competitors, markets, potential investors and partners, intellectual property and best business practices at no cost.